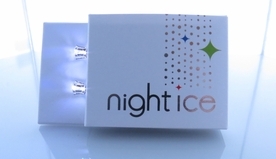 Night Ice ® Flashing LED Earrings! 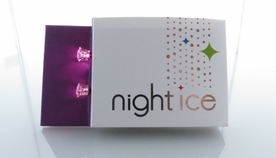 Check out new Flashing Night Ice LED earrings in 6 hot colors. 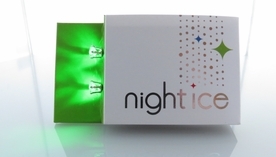 Flashing Night Ice light up earrings are a party favorite. 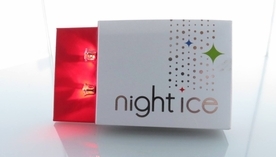 When it's time to shine and have fun grab your new Night Ice flashers and roll out! New Night Ice Flashers are all new to the world and flash on and off every second when you have the batteries are connected. The perfect party accessory! 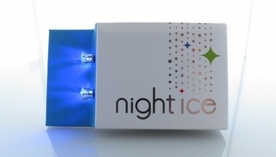 Without your batteries, Night Ice are sparkling crystal earrings that shine all day. Check out Marvelous Di Moon Zhang's Nothing Like Us video, featuring Original whites! 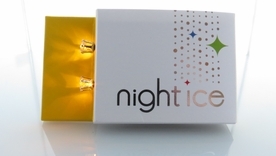 Each pair of Night Ice light up earrings comes with 3 pairs of batteries. Each pair of batteries lasts over 30 hours! That's 30 hours of LED light and the batteries are light-weight too. You can go for a whole weekend festival!